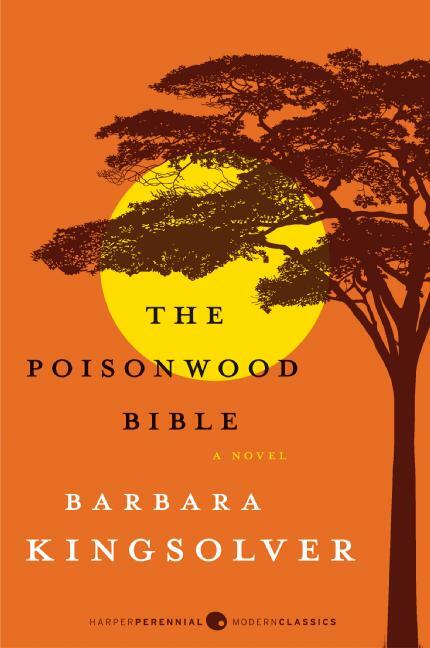 Our family listened to Barbara Kingsolver’s The Poisonwood Bible on tape on our summer holiday, and were engrossed by it. The father, Nathan, simple-minded and fanatical, is a prototypical “ugly American,” who scarily conflates the American way of doing things and the Christian way. Despite the remonstrances of the local help, he insists on planting his garden in the American way in the soil itself, instead of in the Congolese way, in ridges. The rain washes it all away. For him, the be-all and end-all of religion is baptism by total immersion. This puts him at odds with the villagers, who are terrified of the river: crocodiles have eaten their children. Nathan Price browbeats his wife into submission, by tongue-lashings and physical violence. She walks through the Congo in a daze, willing herself forward, one step at a time, dreaming of Georgia. And most of his four daughters, Rachel, Leah, Ada and Ruth-May, would rather be anywhere than in the Congo. The essential wrongness of transporting unwilling children across the globe to share in their parents’ missionary endeavours is made blindingly obvious. Nothing, I think, can compensate for the trauma and disruption to your own children. They are your primary responsibility. One of my favourite aphorisms is Mary McCarthy’s “Religion is only good for good people.” Poor Nathan Price is so determined to succeed at converting the Congolese that he is gradually alienated from his wife, his four daughters, the Congolese, of course, and ultimately his own sanity. A tragic anti-hero, he goes on in his own pig-headed way until the book’s searing close, blind to the anguish of those around him while his eyes are fixed on the prize, a converted Congolese village. Fortunately, Kingsolver creates a foil–Brother Fowles, a non-dogmatic Yankee missionary who respects what there is to respect in Congolese traditions, and quietly helps the Congolese . The book is written in five voices, that of the five Price women, each of them linguistically differentiated. An epilogue catches up with them, twenty years later. Their characters have proved their destinies. Barbara Kingsolver herself lived in the Congo as a child with her American parents. She says she has waited 30 years for the wisdom to write this book. And it’s a splendid one!